Tax lien certificates are sold in 21 states and Washington D.C. 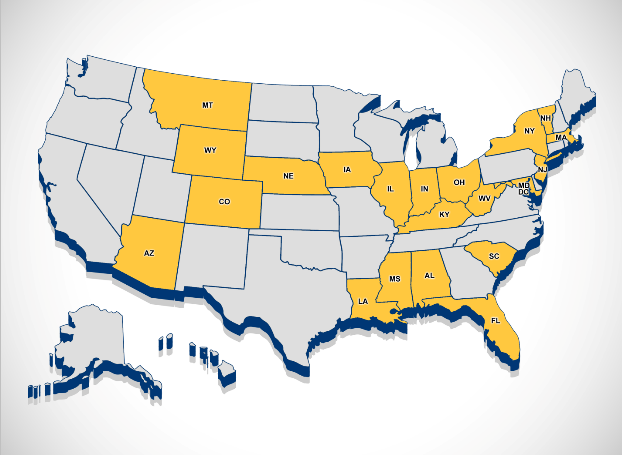 The list of tax lien certificate states is below and the map that follows shows the tax lien certificate states in gold. Tax lien certificate states are in gold above.